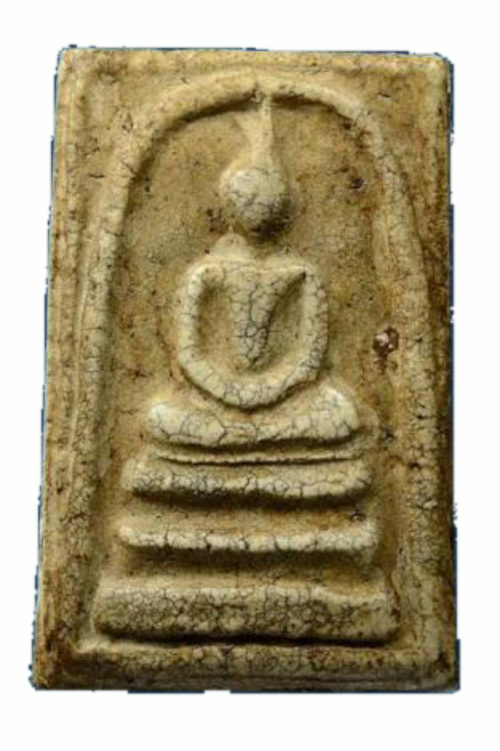 Pra Somdej ‘Pim Pra Pratan'(alternatively called ‘Pim Yai’), is the most famous of all 5 Pim made of the Somdej Dto Wat Rakang amulets. 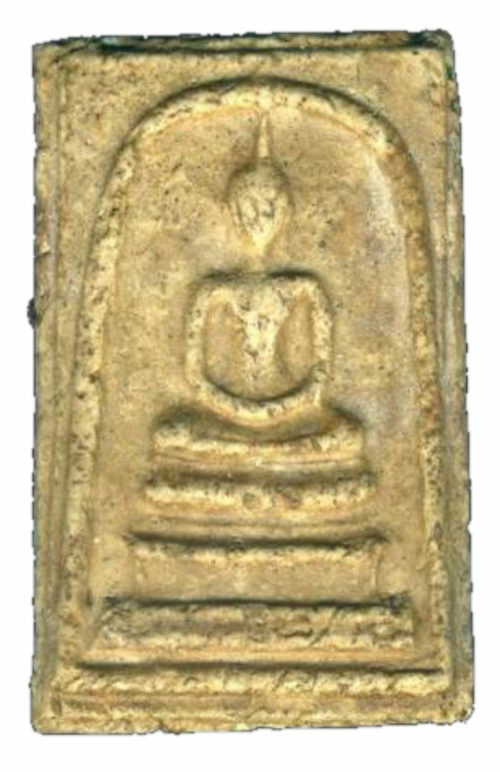 The Pra Somdej Wat Rakang Kositaram is a slim and medium sized amulet bout 2.5 cm in width and 4 cm in height. 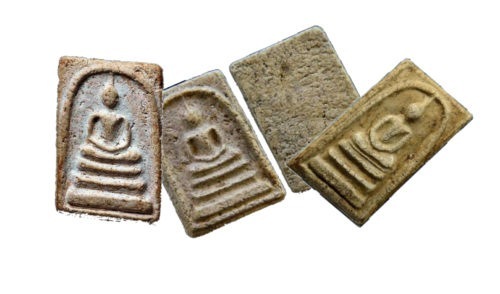 The main ingredients of these amulets from Somdej Pra Puttajarn (Dto) Prohmrangsri, contained powdered sea shell, five special powders (called ‘pong wised’),rice from the alms bowl, ‘Kluay Nam Tai’ and special oil called ‘Nam Man Dtang Iw’. Somdej Wat Rakang amulets have various surface textures, categorized as ‘Nuea Laiad’ (fine texture cement mixture), ‘Nuea Hyaab” (rough textured cement mixture), ‘Nuea Gae Nam Man Dtang Iw’ (old looking textured cement mixture), otherwise known as ‘Nuea Sangkhayaa’, and ‘Nuea Gae Bpoon’ (old cement mixture). 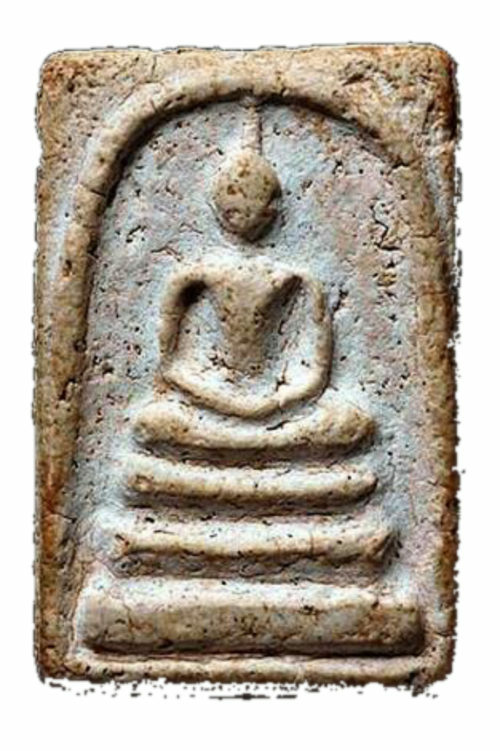 The basic structure of the design of the classic Somdej, (and almost all Somdej amulets from other temples too), is that of the Lord Buddha sitting inside a Bell (the word ‘Rakang’ means ‘Bell’ – ‘Wat Rakang’ means ‘Temple of the Bell’). 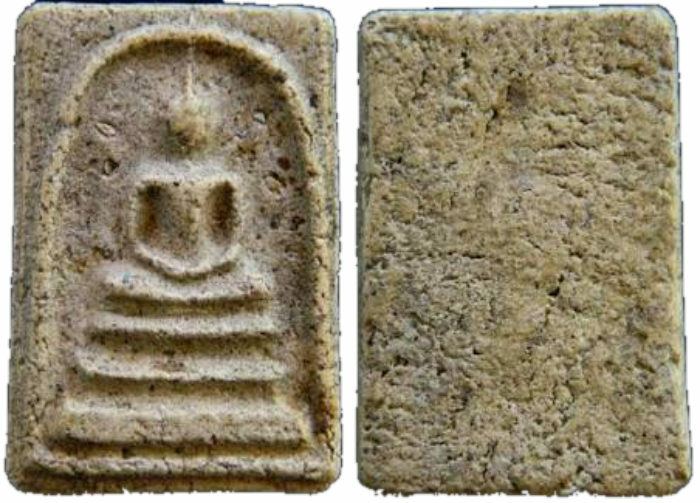 This is the primary importance of the Somdej amulet in the sense that Somdej from most temples depict the Buddha sitting within a bell which is represented by the arch. The arched structure in amulets is called a ‘Sum’. Somdej Wat Rakang Pim Pra Pratan amulets have some obvious points of recognition, which are the first things to check when looking at Pra Somdej Wat Rakang amulets for scrutinizing their authenticity.